Cannons Overlooking From Cape Coast Castle. Cape Coast Castle.. Stock Photo, Picture And Royalty Free Image. Image 33294959. 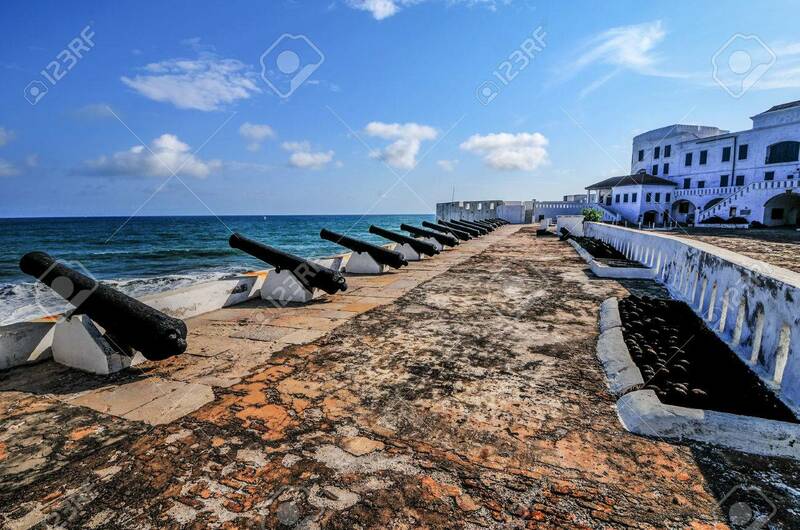 Stock Photo - Cannons overlooking from Cape Coast Castle. Cape Coast Castle is a fortification in Ghana built by Swedish traders for trade in timber and gold. Later the structure was used in the trans-Atlantic slave trade. Cannons overlooking from Cape Coast Castle. Cape Coast Castle is a fortification in Ghana built by Swedish traders for trade in timber and gold. Later the structure was used in the trans-Atlantic slave trade.